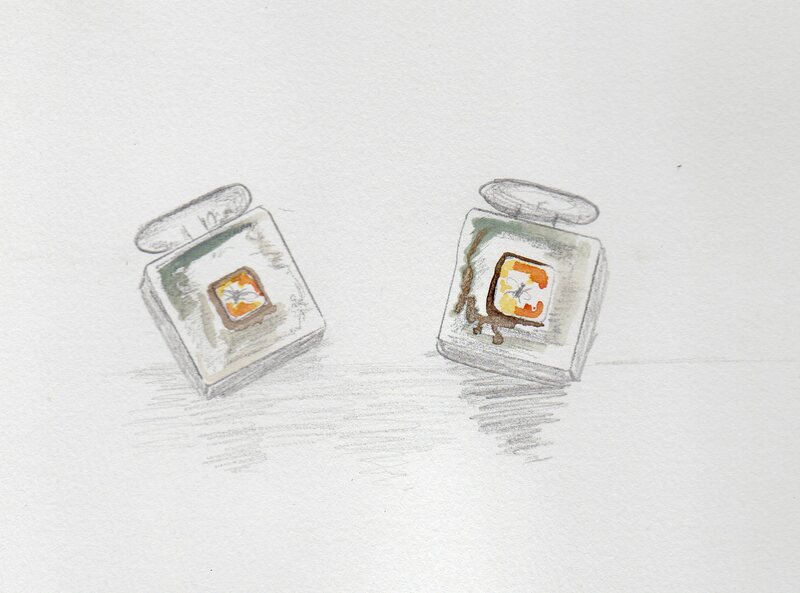 This was a special commission for a lady who wanted a pair of cufflinks for her husband. 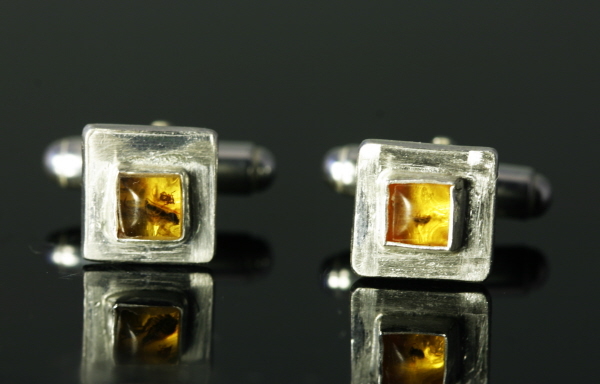 We discussed variou options, but ended up with a pair of solid silver cufflinks set with two square cabochons of baltic amber. She was set on the amber containing real insects. Sourcing suitable pairs of cabochons both the right size AND containing fossil insects was no mean feat. It took me several months to track the right Amber down, but I got there in the end! She was DELIGHTED with the results and I have also just been told that the recipient loved them too!